Zetsche: "If anyone had this kind of idea with us, this person would very quickly find someone else who would say 'we don't want it like that, and we will not do it like that'." BERLIN (Reuters) -- Daimler CEO Dieter Zetsche said an emissions scandal like the one engulfing Volkswagen would not be possible at his company. His remarks were an unusual dig at another carmaker. In general, he does not criticize competitors, Zetsche said at a reception in the German capital Thursday. "But with the VW affair, there is nothing else to do," he said, because the scandal affected the whole auto sector. Volkswagen has admitted using software to conceal the level of NOx emissions from some of its diesel vehicles in the United States and faces billions of dollars in claims from owners of vehicles with similar software around the world. The scandal has caused concern in Germany that the image of its powerful auto sector has been tarnished and also raised questions about diesel technology in which German carmakers have invested in. Taking aim at the corporate culture at Volkswagen, Zetsche said such manipulation would not be able to happen at Daimler. "I am very confident that if anyone had this kind of idea with us, this person would very quickly find someone else who would say 'we don't want it like that, and we will not do it like that'." 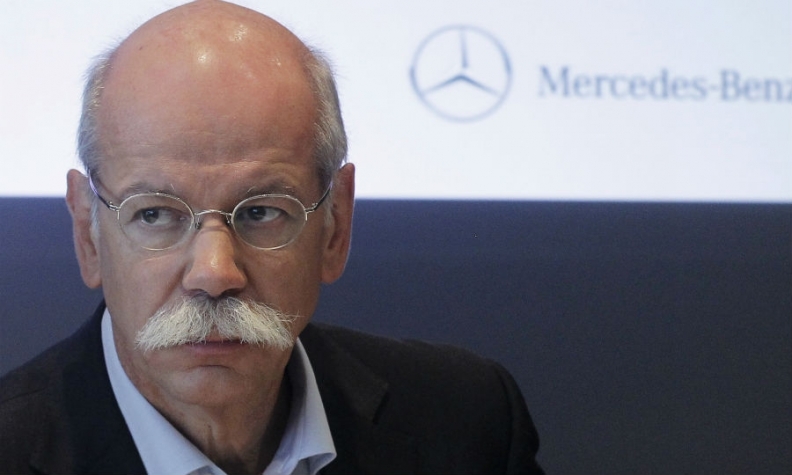 Zetsche also said Daimler was sticking to diesel technology and urged the European Commission to quickly decide how to measure emissions in future.